I've been working on creating the best skin care routine, if you read my blog you'd know I have combo dry/oily skin, mostly oily with the most annoying premature wrinkles. The past few months I've seriously gotten into skincare and have been doing a lot of research to improve the crap that is my skin. One main thing I've been searching for is a serum, they're supposed to penetrate your skin deeper then just using a plain old moisturizer. I've been on the hunt for a good one, not necessarily for anti-aging or wrinkle reducing, but to help with discoloration and dryness. Even though my skin is super oily it only produces all of this oil since I don't drink enough water. I was looking for something with pure vitamin C and I sort of found it. 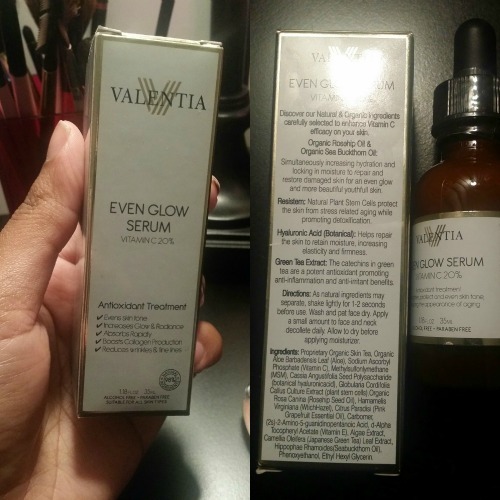 This is the Valentia Even Glow Serum, it's supposed to even skin tone, increase glow/radiance, boost collagen production, and reduce wrinkles/fines. After using it for a week I have to say I'm in love with it. It's amazing. 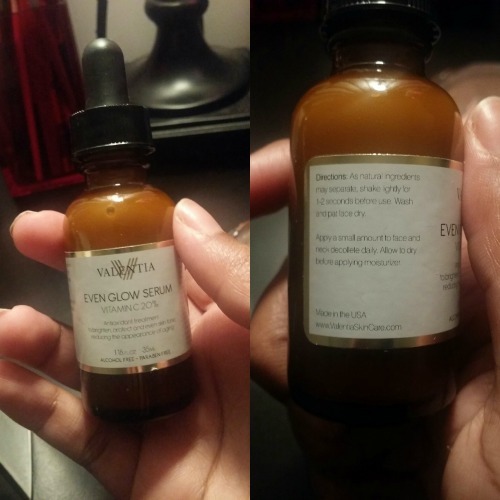 It's perfect for someone starting out with serums and doesn't want to spend 100+ dollars. For the few days that I've used it I saw a noticeable difference especially with the discoloration. 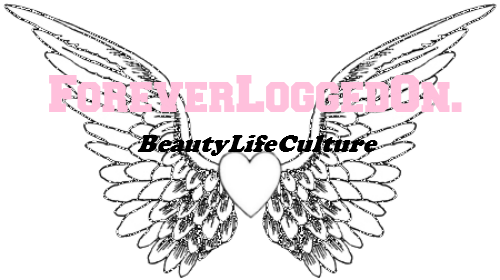 My skin feels much smoother and brighter. And the smell is yummy, it's like they squeezed pure orange juice into the bottle. It smells fresh and natural. This is just from one use (I have been using it for a week now), I think the most obvious change is the texture of my skin. When I use this it's turns smooth and AMAZING. 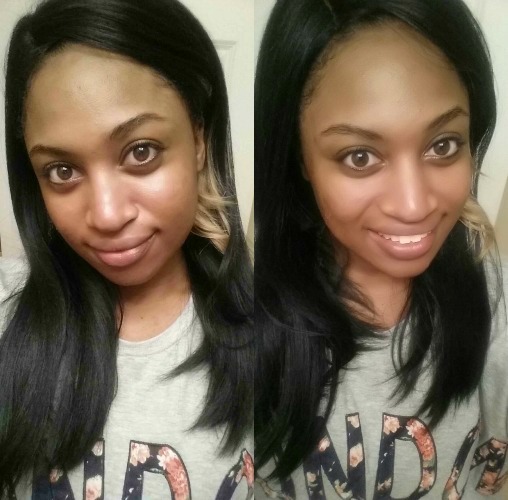 The dark marks on my cheeks have lightened a bit, if you look at my older blog posts where I have on no makeup you can see how dark they were. You just put a few drops on your face and neck, it feels like it's tightening your skin which I like then you follow up with moisturizer. I would recommend this! I'm going to give it a try. Do you think it will help with the wrinkles around the eye caused by squinting? Also, you look great without makeup! Such pretty skin :) Enjoy your day! Thank you <3 <3 Yes I do think it would help with a good skincare routine.